Sergio Garcia put up one of the best scores of the field on Friday at The Open Championship, but his round also included a mental error that almost had a devastating result. On the fourth hole at Royal Birkdale, Garcia found himself backed up against a row of the gorse bushes that The Open is so known for. After a less-than-perfect shot, Garcia took a swipe with his club at the bush in frustration, and immediately reached for his arm in pain. Garcia would require a bit of on-course medical attention and for a moment it looked as though his campaign for the Claret Jug had met a premature end. But Garcia played through the pain, and after a few holes was back to looking and swinging like most of his regular self. 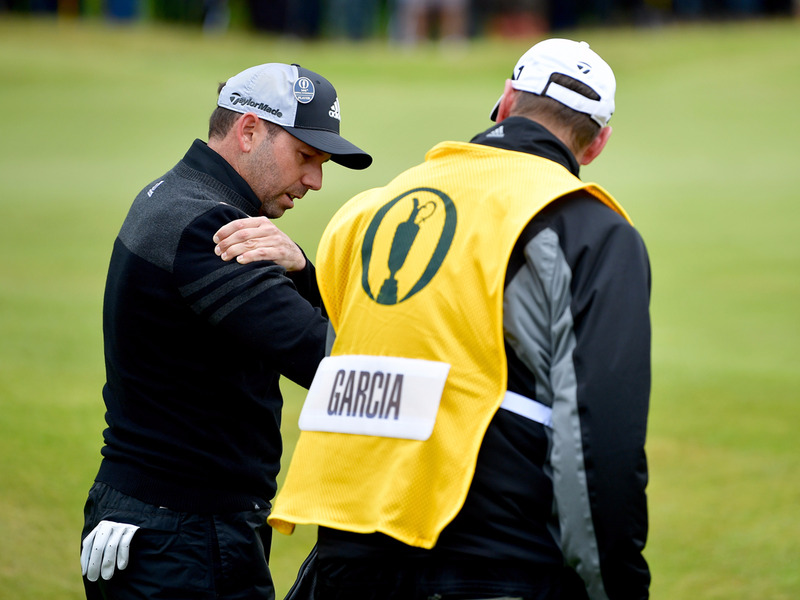 After the round, Garcia would share disappointment in his actions, but also acknowledge that it’s simply part of golf. Garcia would go on to finish the round at one-under, being one of the few men to break par on a rainy day at Birkdale. At +2 for the tournament, he’ll comfortably make the cut and play this weekend, barring any further complications with his shoulder. You can watch video of Garcia’s encounter with the bush below.